Give Her the perfect gift with a personalized Mother’s Bracelet. 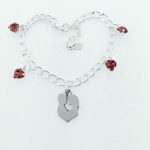 Create a personalized Mother’s Bracelet for the best mother, wife, aunt, or commemorate a loved one that passed away too soon. 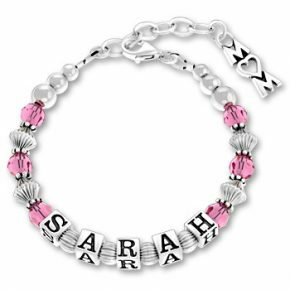 Our Mother’s Bracelet Style 1 will allow you to create a personalized bracelet that is very special. 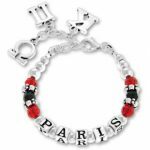 You can personalize our Mother’s Bracelet with a name up to 8 letters, a charm, select a custom size, and select a color. Create the most thoughtful and personalized Mother’s Bracelet. Stack Multiple Mother’s bracelets together to create a special jewelry piece that is a focal point at parties, or with your friends. Share your love of your family, or pet with one of our Mother’s Bracelet. View our other Mother’s Bracelets Here. Make the most meaningful gift for you or a loved one with one of our Sterling Silver Mothers Bracelets today! Choose one of 18 colors of Swarovski crystals beads and 1 of 21 different sterling silver charms to create the perfect gift she will treasure forever. 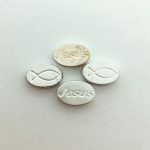 Amount of Silver/Crystal beads will vary depending on requested size and length of name.